But before that a few words about the weather this weekend: Cloudy with a good chance of lightning strikes! Some of you guessed it already after seeing the teaser on our social media...we included Thor's Chariot from the SG-1 episode of the same name. Daniel Jackson got the weaken_enemy special ability. In the vanilla game, this ability spawns an instantly exploding projectile that affects nearby units. In our case, we've changed that in way that he only spawns an invisible dummy unit. This invisible dummy has a lua script attached that enforces the spawn of another unit despite not being in an reinforcement zone. The unit that is being spawned is also an invisibly dummy but the clue is that this invisible second dummy is spawned via transport. The landing transport is the Beliskner class ship with a custom animation. The transport comes with yet another script that plays a custom sound effect (thunder sounds found on the web) and a special particle effect to have those clouds. In the first iteration (as you saw above), the Beliskner had a weapon hardpoint at its nose that would fire (test) projectiles while unloading the invisble dummy - using the original beam sound effect from the series. Since it was hard to mimic the beam appearance from the episode that way we replaced that Hardpoint with a special ability, drain life. This ability creates beams towards mutiple targets. We then replaced the vanilla beam effect with a custom one in order to have a proper beam effect. All invisible dummies despawn themselves after they have triggered what they were supposed to. On a more serious note: As most of you probably already know Carmen Argenziano the actor of Selmak/Jacob Carter has died this year's February. It was a shocking news for everyone who enjoyed his acting and we've not been an exclusion. We therefore would like to showcast our effort to immortalize his persona of Selmak/Jacob in our project. We hope you like our efforts to keep the essence of this beloved character alive. Stay tuned for more awesome ground stuff and enjoy Easter! we have to inform you of a troubling development: just shortly after the release of Pegasus Prelude to stable we got contacted that our mod is under investigation by the Columbia TriStar Motion Picture Group as statutory representative of Metro-Goldwyn-Mayer, better known as MGM, the owner of Stargate's intellectual property (IP). While no immediate action has been taken against us, many mods featuring Stargate content including ours have been informed that an IP claim has been made. We duly hope that dust will settle over this matter, but we've been informed that the mod might have to be taken down if intellectual property has been used without explicit consent. These are the terms and we are making our projects based on MGM's intellectual property. This we cannot fight. Just like many modding projects containing Battlestar Galactica IP have been pulled in 2011 it appears that as things stand at present, the prospects are very poor to continue our mod in it's current form. We love our project way too much to end it here and now so we have decided to make a drastic step: in the next version of our mod, we have decided to replace the ship models with those known from Star Trek as we believe to be on the save side here. Tau´ri is now changed to the Federation of Planets. Wraiths are now changed to the Dominion. In the end, we hope the change wouldn´t be that bad. After all, StarGate, or Star Trek, it doesn´t really matter as long as there is “Star”, in the title. 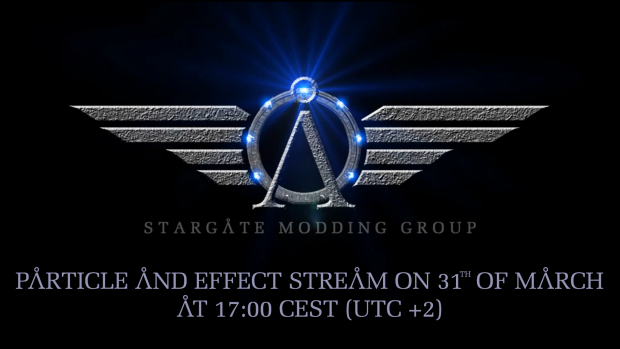 You guessed it...we will stay true to our beloved Stargate universe! the release of Pegasus Prelude to the stable version last week was a big step for our project and for our team. We're very happy about the amount of positive feedback we received from you! Again thanks for your dedication to our project! We already released a hotfix via Steam and today patch 1.6.1 takes care of the CD version. If you spot another issue please do not hesitate to get in touch with us on Discord or else! Also after reciving quite some feedback about the quality of our English texts the community member Boriss spend some time on improving them for patch 1.6.0. This pool aims to gather some feedback on how you like the new texts. Another thing that happened with the last big patch which was quickly noticed was the big Goa'uld ship model update. The Goa'uld ships dated back to the original Stargate EaW mod and besides some minor updates we didn't touch them for ages. In our minds this was no longer tolerable for our favorite parasitic overlords! As we didn't want to draw too much attention away from our efforts to push Pegasus Prelude to stable and of course the ground part we reached out to our friends at Stargate Invasion (make sure to check them out!) and asked to adept some of their great models. In the end we exchanged quite a few models between both mods so you might find some familiar stuff in Stargate Invasion after some time as well. On our end we tweaked the SGI models here and there and altered their texture in order to have them fit our visual style. Hope you like the examples below! after moving Pegasus Prelude to the stable version of our mod is now finally time to talk more about the ground part! 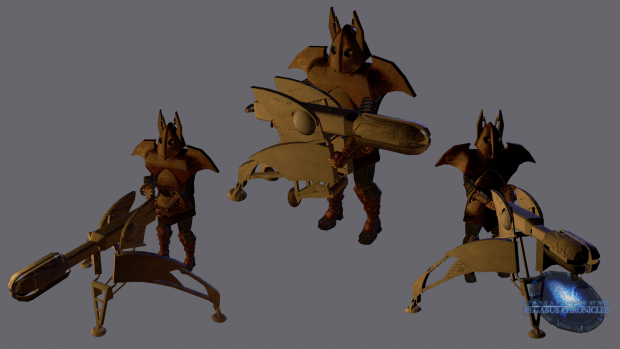 Today we would like to show you two features we will introduce to the ground part of Pegasus Chronicles. First of we got the deployable staff cannon for you which was heavily requested back in the days of the original Stargate EaW however we've never been able to achieve it. A lot of time has passed since then and the entire team learned many new skills which enabeled us to introduce the unit to our mod. We hope you like the below showcast! For those who did not recognize the type of Jaffa right away...it's a Necropolis Guard of Sokar. But there is more to this news and we're very proud of what comes next! The ground part will come with a unique feature that has cost us quite some time and efforts...transportation rings! You know this handy device that either helped our heroes of SG-1 to escape or brought in another round of enemies to make a desperate situation even more...interesting. And that's pretty much how they will work in our mod. 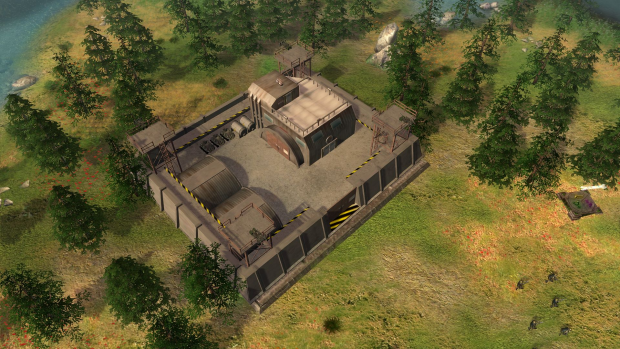 They will be pre-placed on specific maps where you can use them to outmaneuver your opponent. - We've added a special ability (as a dummy) to the building. We've chosen power to weapons as it doesn't do anything when being clicked except that it's "active"
- Right away the script then plays the transport animation on the ring and shortly afterwards spawns a "light beaming" particle effect. With a short delay, also the animation of the second ring platform is triggered. Not enough new stuff yet? During the week the team already published the picture of an "important building" on Discord. Join us there to keep up to date on the latest news! If you enjoyed those...good news! We will continue with another stream tomorrow! Stay tuned for more awesome ground stuff! Pegasus Prelude moves to stable version! we're very happy to announce that Pegasus Prelude is now (finally) available in the stable version with today's release of patch 1.6.0! With this a journey which started over two years ago comes to an end. As stated in the announcement trailer we're very thankful for all the feedback we got during the open beta of Pegasus Prelude! It was a great ride with many ups and downs and everyone in the team shares the impression that it was a great decision to move our development efforts closer to the community. Only thanks to you we can proudly say today that we created a GC that surpasses the ones of the orginal mod for EaW in every aspect and especially in regards to scripted events, tactical missions, balancing and performance. Those major fixes are accompanied by various more fixes, beautiful new intro movies and various balance and quality of life changes. Now everyone can enjoy this first galactic conquest for Pegasus Chronicles. Just in case you never heared about it: You can play both as Ancients and Wraith to relive the rise of the Ancients, their war against the Wraith and finally their demise. Besides adding Pegasus Prelude to stable this patch greatly enhances the visuals of space battles: Not only are all ships and structures capable of casting shadows, we have also given our Goa'uld fleet a major overhaul by replacing nearly all of the existing models with new ones. Some of our questionable English translations have been improved by community member Boriss for better readability and our AI got yet another big update allowing it to use the majority of unit abilities intelligently in battle. Now that the focus can shift away from Pegasus Prelude we can't wait to tell you more about our plans for the ground part. Stay tuned! Happy birthday Stargate Empire at War! Patch 2.1.2 for Pegasus Prelude released! Summer is over...time for modding!